Honorable benevolence strikes again in my classroom. My dear friend’s lovely boyfriend is an animator for Clone Wars and put together a collection of items for my students. As I explained to my principal this morning how I plan to use the items, she remarked that I have an amazing group of friends. 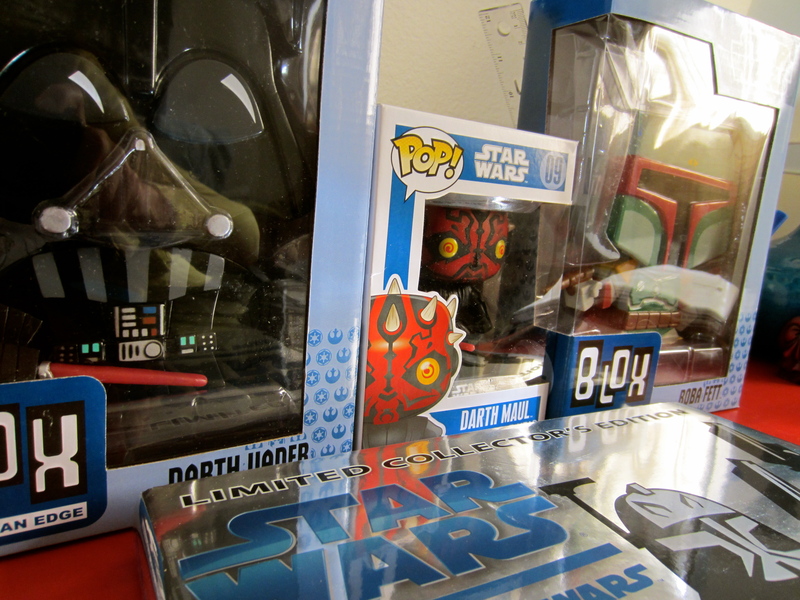 Jackets, speaking engagements, now Star Wars goodies direct from the source– I have to agree. Needless to say, my students were delighted. I made a new daily award to earn the figurines on their desks. Tomorrow three students will bask in the protective glory of solving geometry problems in the shadow of Darth and his friends, (yeah, yeah, I know, bad guys, but whatever, the kids dig it). We named them the Warriors of Knowledge. I have to say, today was quiet on the behavior front. They’re excited and I’m grateful. Thank you kind people of the universe, (and Don, in particular!). Yay!! This post makes me so happy 🙂 so glad they loved all the goodies!